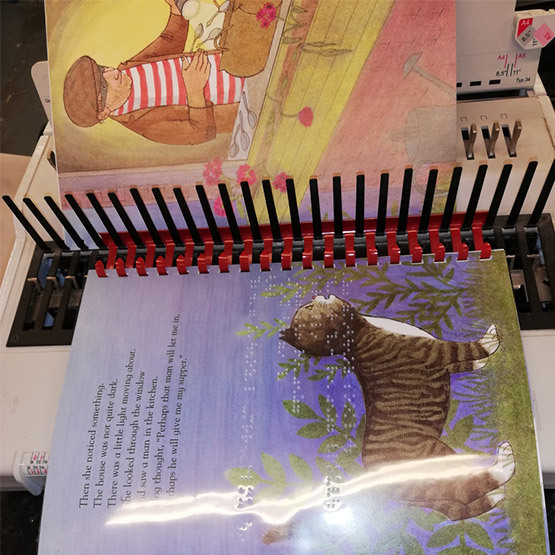 Pia had the pleasure of adding some braille acetate to some of Living Paintings’ touch-to-see books. 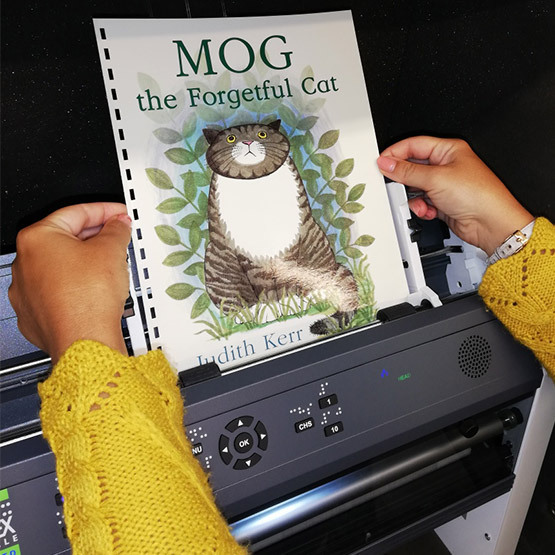 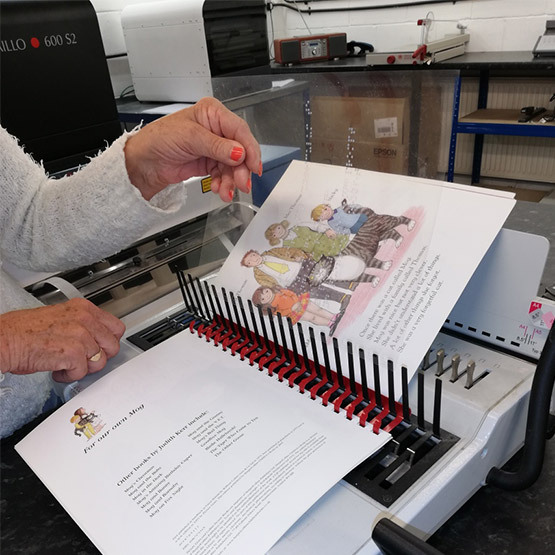 Living Paintings is a UK charity who designs, creates and publishes tactile books for blind and partially sighted people, and distribute these Touch to See books through their free postal library. 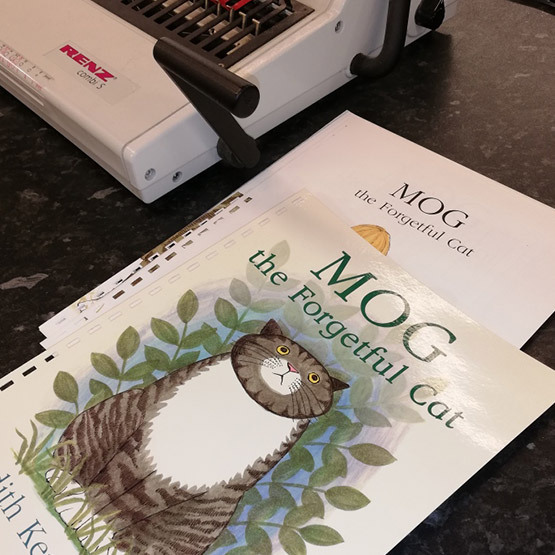 The photos show Mog in Pia production.